Airbnb is drawing support from Silicon Valley and digital rights advocates in a battle against a new San Francisco law regarding short-term rental services. 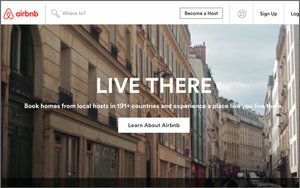 The San Francisco measure, passed earlier this year, requires Airbnb and other home rental services to verify that users who post ads have registered with the city as short-term rental hosts. Earlier this year, Airbnb and HomeAway.com asked a federal judge to block the San Francisco law. They argue that the measure, which effectively requires the company to police its listings, violates the Communications Decency Act. That law broadly immunizes Web platforms from liability for users' activity. The trade groups Internet Association -- which counts Amazon, Google and Facebook as members -- and CALinnovates say they agree with Airbnb on that point. It's "wholly inappropriate for municipalities like San Francisco to attempt to outsource their policing of third-party conduct to technology platforms," the groups say in a proposed friend-of-the-court brief. "Nothing prevents San Francisco from pursuing claims against non-compliant hosts directly," the organizations add. "But intermediaries are not enforcers, and the CDA does not allow state and local governments to treat technology companies as extensions of their own police forces." The digital rights groups Electronic Frontier Foundation and Center for Democracy & Technology also argue that San Francisco's law conflicts with the federal Communications Decency Act. "Congress recognized that the Internet would be a far more limited forum if Internet service providers were forced to second-guess decisions about managing and presenting content authored by third parties," the EFF, CDT and several law professors argue in their own proposed friend-of-the-court brief. "Given the volume of information being published online, it would be impossible for most intermediaries to review every single bit of information published through their platforms prior to publication. ... It would be similarly impossible for intermediaries to comply with the enormous variety of international, state and local laws." U.S. District Court Judge James Donato is expected to hold a hearing in the matter on Oct. 6.